Flocks of Snow Buntings have been observed more frequently lately, perhaps because male buntings have begun their migration back to their nesting grounds on the tundra. They are the first migrants to arrive in the Arctic in the spring (in early April), when it can be -20°F. Females arrive four to six weeks later, when days are warming and snow is beginning to melt. The Lapland Longspur, named for the unusually long claw on its hind foot, breeds in the Arctic tundra and overwinters near fields throughout the northern half of the U.S. in flocks numbering up to four million birds. 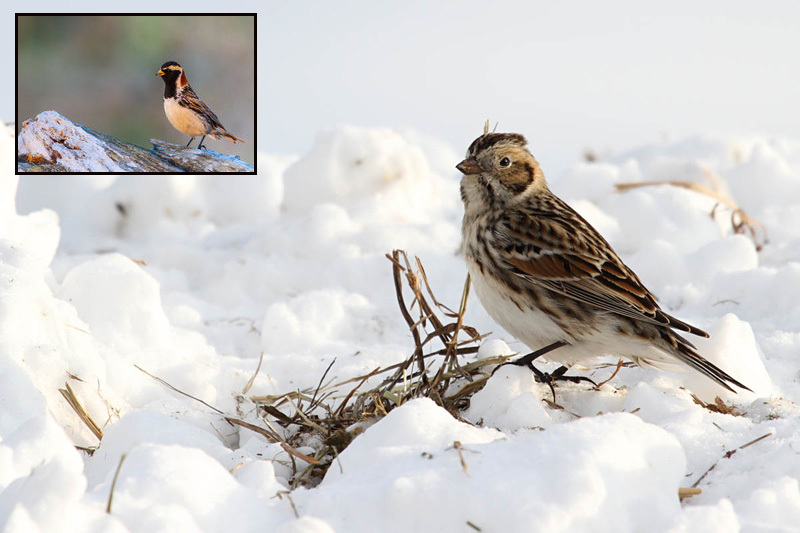 Lapland Longspurs have two distinctly different plumages, especially the males. 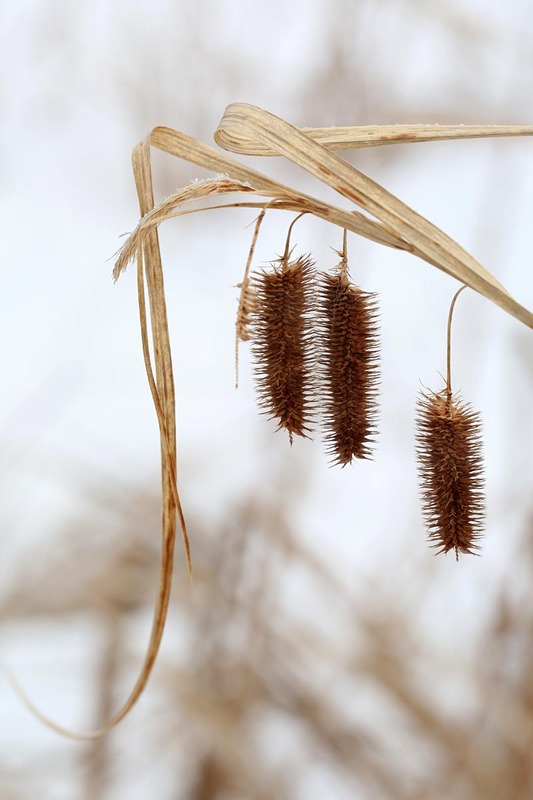 Their winter plumage (see photo) is streaked brown and somewhat dull. However, in the summer, the male’s plumage is very dramatic (see insert). The back of his neck, or nape, is bright rufous orange and black feathers form a distinctive facial mask and bib, bordered by a white stripe.